Rediff.com » Movies » Breathtaking Cannes, in action! The quaint town in the scenic French Riviera is spruced up and how! 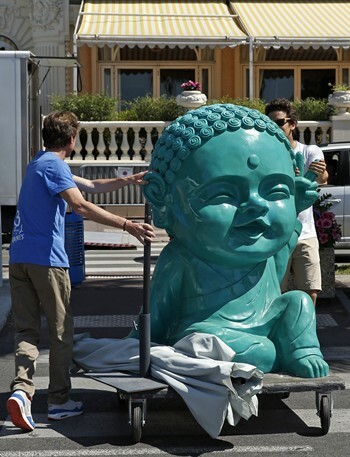 A day before the 68th Cannes Film Festival kicks off, preparations were in full swing. Here's a look at the scenic French Riviera and everything it has on offer this year! 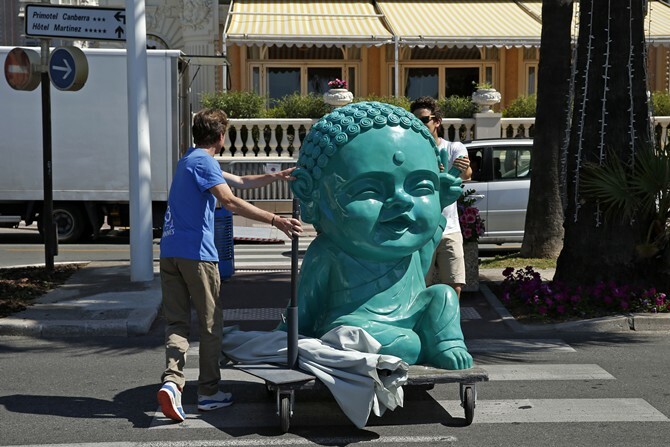 Employees pull a cart with a statue that presumably looks like a kid Buddha adding to the sublime beauty that is Cannes. 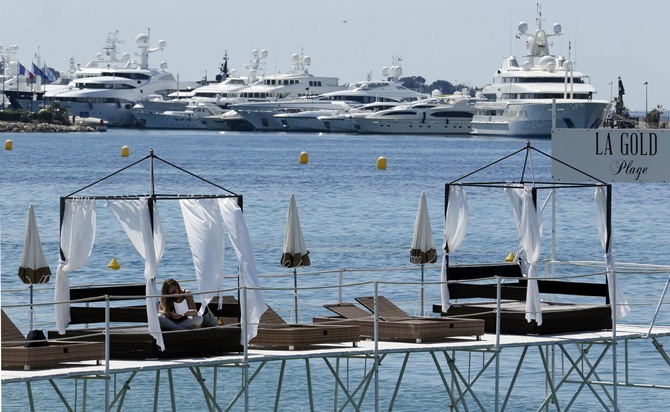 Move over St Tropez, here's a view of the front pier at La Gold Plage beach with yachts in the background in Cannes. Guess all the international stars who make a beeline to the fest will be spotted lounging here after a hard day at work. 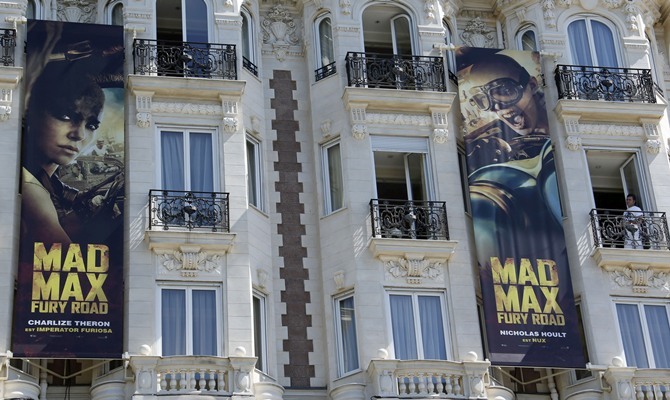 Posters for the film Mad Max: Fury Road, starring Charlize Theron and Nicholas Hoult, are displayed outside the Carlton Hotel, the main venue for the movie screenings. 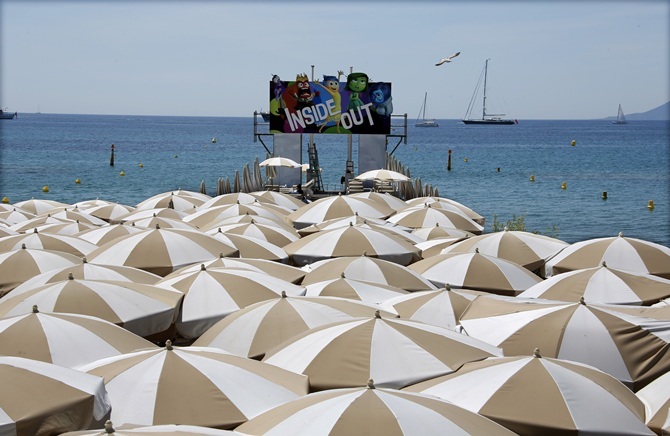 A billboard for the film Inside Out is seen on the Carlton Hotel front pier. Jury member actor Jake Gyllenhaal arrives at the Grand Hyatt Cannes Hotel Martinez on the eve of the opening of the 68th Cannes Film Festival in Cannes. The actor's brilliant neo-noir crime thriller Nightcrawler created quite the buzz at the fest's last edition. British actress Sienna Miller, who serves on the jury panel to this year, was understandably all smiles as she arrived. 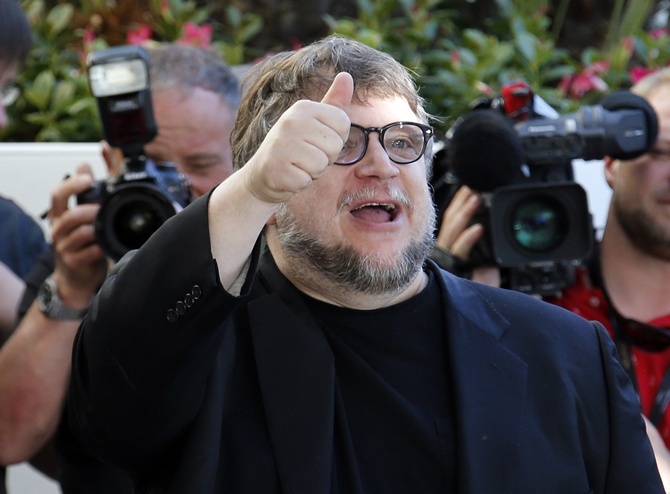 Maverick Spanish filmmaker Guillermo del Toro, who's delivered such gems as Pan's Labyrinth, Hellboy and Pacific Rim, is among the jury too. 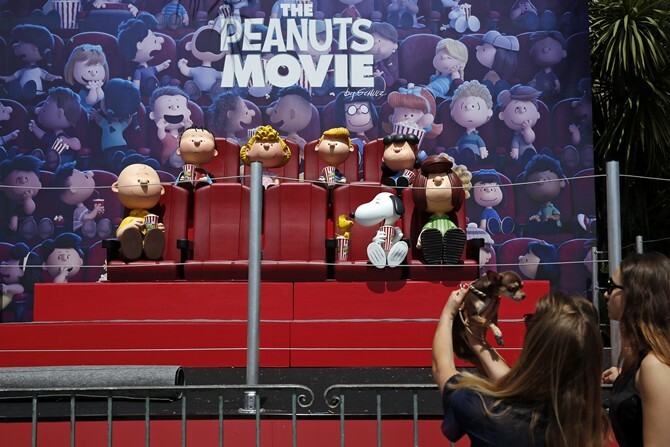 A billboard and characters models of the film The Peanuts Movie are seen in front of the Carlton Hotel. Preparations continue on the Croisette before the start of the film festival. 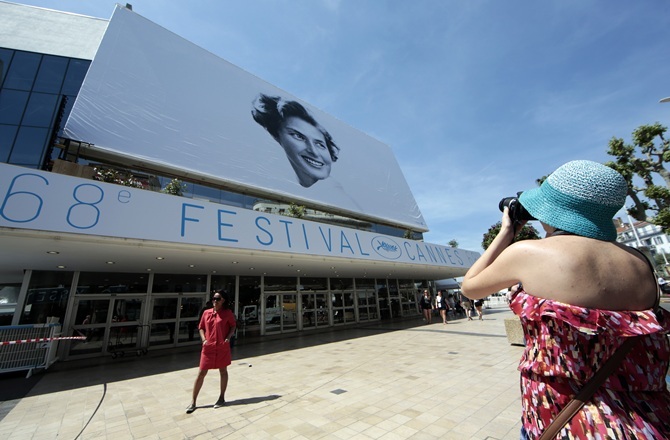 A woman takes pictures of a giant canvas of the official poster of the 68th Cannes Film Festival, featuring late actress Ingrid Bergman, on the Festival Palace in Cannes. A woman poses with a film clapper on the Croisette.